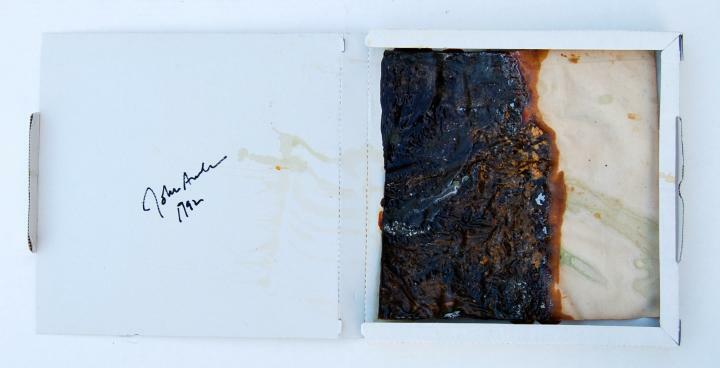 Mixed media on unprimed, unstretched cotton canvas contained in a cardboard box, one from an edition of 106 unique, unnumbered examples, this example, signed and dated “John Armleder | 1992” in black marker on the underside of the box top/cover; also signed and dated “John Armleder | 1992” in pencil along the center right edge of the canvas, verso; also with the original printed label of the publisher in red and white, affixed to the top of the cover of the box, published by Galerie van Gelder, Amsterdam, the box with normal soiling and wear, otherwise in fine condition. 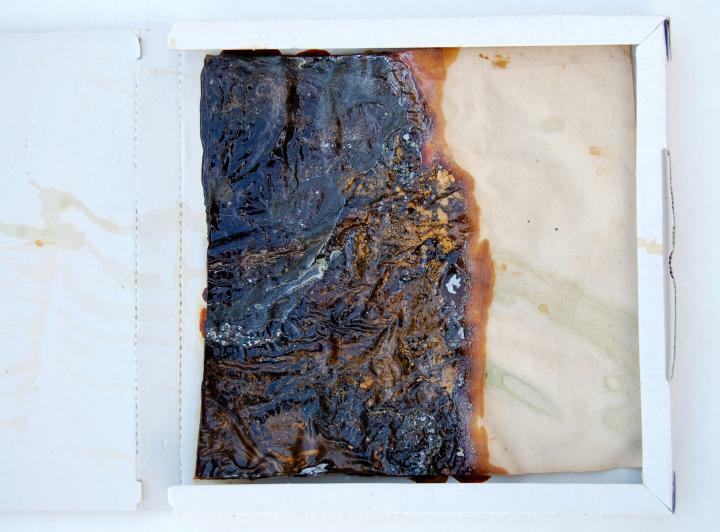 Also of note is that in 1993 the Wiener Secession in Vienna produced a second drop cloth edition, smaller in size and on colored fabric with a label on the inside of each pizza box. Concerning the U40 drop cloth works, it is important to note that unscrupulous individuals have often separated the canvas work from the box and have successfully sold these unstretched works, primarily at auctions, as paintings, unfortunately due to the lack of knowledge of the auction houses. 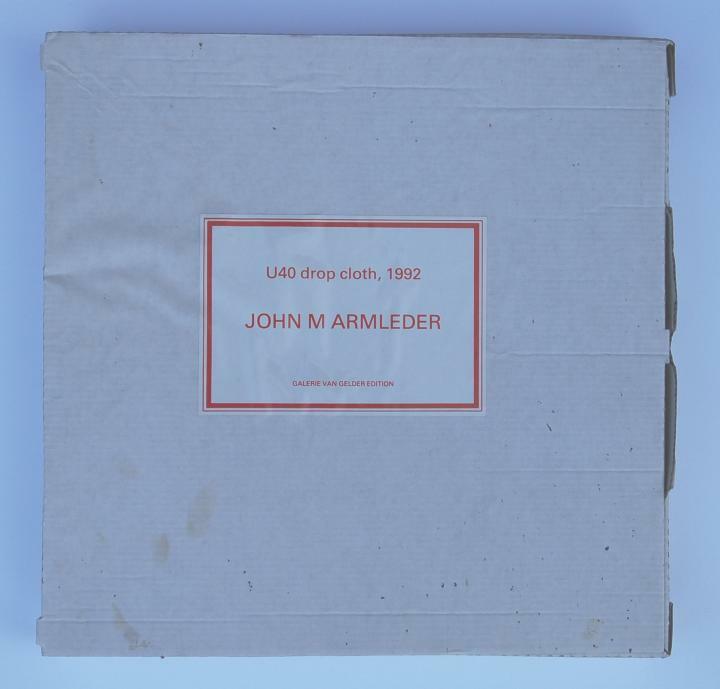 The canvas in the U40 drop cloth works were never intended to be separated from the box and any that have been are no longer works of art by John Armleder, despite having a signature. The smallest “pour painting” ever created by Armleder is a 12 x 12 inch (30.48 x 30.48 cm) mixed media work created in New York in 2005 that is on umprimed, stretched cottonduck and is in a Private Collection in Connecticut.